Newly renovated, but this is a depressing first view when you walk into the house. And it looks so small! Whether you’re a builder about to list a spec home, an investor ready to sell your vacant property, or a home seller who is living in a house with empty rooms and you’re wondering whether to furnish them before listing your house, this article is for you. If you are hoping to sell the home quickly and for as much money as possible, it’s a bad idea to try and sell a house with empty rooms. 1. People don’t buy houses, they buy homes. This is the same main floor as shown in the image above. Now, this feels like a home that buyers can make an emotional attachment to! It's also important to give people a sense of how furniture fits in the space. Most potential home buyers can't visualize the possibilities without help. Notice how much bigger the area looks with furniture! When you sell a house, you aren’t selling a commodity. You are selling a HOME, a place where a family will LIVE, raise their kids, have a refuge from the outside world. Even if you’re selling a tiny condo, you’re selling to someone who will bring their hopes and dreams of how their lives can be to living there. Walking through empty rooms, or an empty house, is usually pretty depressing. It looks lonely, it doesn’t shout “this is your home, you will love living here.” So why would a buyer feel especially motivated to make an offer? 2. It’s hard to understand how large a room is when there’s nothing in it as a reference point. Are you inspired by this freshly painted, but seemingly tiny master bedroom? Pretend you’re the buyer, which master bedroom are you more likely to remember favorably after seeing 8 houses in a day? This is the same room, decorated to sell with furniture and accessories provided by Six Elements. Buyers can’t tell the difference between a 12 x 10 foot room and a 14 x 12 room if it’s empty. It looks about the same even though one is 40% bigger. And when you’re dealing with a space that is 15 x 20 feet, a potential buyer has no idea what to do with it or how to arrange it. They might think it’s just big enough for a couch, 2 chairs and a coffee table, yet there’s room for so much more. 3. People can’t visualize how furniture will fit in an empty space and if they’re unsure, they don’t buy. As shown in the living room/dining room example at the top of this article, it would have been hard to imagine how much furniture would fit in there or how it might be arranged. It’s a relatively small space and it was important to show buyers how it could be used. 4. When a room is empty prospective buyers focus on negative details instead of falling in love with the overall space. Will those bumps in the carpet come out? How come the closet doesn’t have a hanging bar yet? Why doesn’t that molding fit perfectly? How come the light switch is in the middle of the wall? 5. When a house or even a few rooms are empty prospective buyers can get distracted from looking at the house. Instead of focusing on whether this is the home for them, they may be busy wondering: Is this a divorce? Have they left town? Are they selling because they have money problems? This train of thought will take them where you, as a vendor, don’t want them to go! They’ll start thinking, “maybe I can put in a low ball offer since the seller might be desperate.” Clearly this is not the situation to get you the best price for the property. Why leave money on the table when a relatively minimal investment in home staging can make all the difference? I have heard this over and over again. But my experience was much different. I had my house up for sale in 2009 with a realtor for 6 months and we did the staging thing. Then it was you need to remove your modern art it’s to personal. It’s was do this do that to no avail. Not one offer. So I dropped the realtor and took my house off the market for 2 months. I emptied the house and listed it myself and had it under contract in 2 months for over listing price because of multipule offers. The people that came thru the house commented that they liked the fact that they could clearly see everything and nothing was hidden from view. Jon, congrats on your selling success! I find it interesting that not only did you undo the staging (which may have been inappropriately done or over done — staging shouldn’t hide anything and shouldn’t be so personal people complain) but you also sold it on your own without an agent! I’m wondering what month you listed the home the first time and what month it was when you put it back on the market (since seasonality can play a role) and whether you listed it at the same price in both cases. Debra My agent at the time and I discussed the timing issue and she assured me that although November thru February was the least desirable time she followed it up by saying that March thru May would be the most desirable time. The staging was more in line with the HGTV simple but elegant theme. After having it off the market for 2 months I listed it for $4500.00 under the agents listed price. The selling price to my surprise ended up being only $400.00 below my former agents listing price. The comments about nothing hidden from view was directed at not having to look around head boards and night stands and the like. 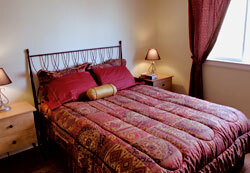 They liked being able to view all the walls and wookwork which you can’t when you have furnishings and art work. I had several people state that they liked viewing the house free of belongings because they felt more comfortable going thru all the cabinets and closets. I am planning to empty my very nice home in April and hope to sell this house empty. I have bought another home close by and I want to move into it. Hopefully this will go In my favour. My house has been listed since Nov. but no offers as yet. Steady viewings, but no offers. Katy if you haven’t been able to sell it furnished you’re less likely to sell it empty for the price you want. After all, you’ll be advertising to potential buyers that you’re desperate to sell. I suggest you have a home stager look at how it’s currently furnished and improve on that rather than emptying it out completely. Depending on where you live, I can visit your home and make recommendations about what should be kept in the current home for staging purposes and what you can be moved to the new one. Or I can help you working from your photos. Please check out this link for virtual staging, which is your lowest cost option. 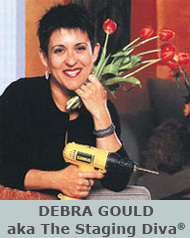 Here’s where you can read about me doing an in person home staging consultation. article. I’ll make sure to bookmark it and return to read more of your useful information. Thanks for the post. I’ll definitely return. Dawn, thanks for commenting. Yes, empty houses sell. The question is whether they sell as quickly and for as much money as one that is decorated to help buyers fall in love with it. Most vacant homes that have been previously lived in have a “desperate air” about them. All those marks in the carpet of furniture that’s no longer there, the lingering question of how desperate the sellers are now that they’ve moved on, etc. I do wish you every success. After emptying my home, it did sell empty after 7 days. It was listed for 6 months staged. 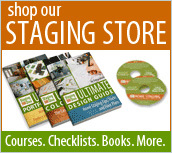 As long as the home is not cluttered you don’t need staging. I think istaging is a money maker. This home was in good repair and it ended up looking bigger. Katy, Congrats on selling it empty so quickly! I’m very happy for you. Some homes need staging more than others. While getting rid of clutter (as you mention) is important, it’s not the only thing. One of my clients had their home on the market for 6 months. They had completely decluttered it and it wouldn’t sell. Their agent wanted to drop their price $50,000 to get interest because they had not received a single offer. They called me to stage it instead. I worked only with furniture they already had, rearranging it in new ways. I also used some of the accessories they had put in boxes in the garage to add some personality back. In total, it took the home seller and I about 5 hours to complete everything. The home sold the following week for 98% of their original asking price, thereby avoiding the $50,000 price drop their agent had recommended. My point is, there are many factors that go into whether a house sells and when. Thanks for sharing your experience. I also believe staging done right can make a home sell faster and for more money. Wow! I never though about these pointers! As I am an real estate agent, your blog will help those looking for houses for sale. No showings for my home…After 6 months and only two showing, listed with someone else and lowered price considerably as he stated it was overpriced (I did not set the price) and new real estate has only shown it twice and does not believe in open houses…It is empty and he has had it for one month . Thanks for sharing your experience Lianne, this is a great example of the danger of listing an empty house. I’m sure there is little in the MLS photos to draw potential buyers to want to see the property. 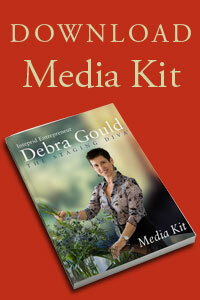 What is it costing you to carry this empty property, not only in dollars but in stress? Perhaps it’s time to try a new strategy? If I were you I’d give it until after the holidays and turn it into a show home for the start of the “spring” market. I personally like to view homes empty, the personal effects and staging distract me. We have purchased 5 homes and the ones we chose were all empty! cheers. Colleen, thanks for sharing your experience. 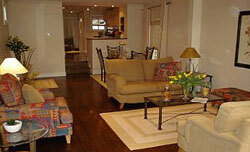 A well staged home would have few, if any, personal effects. The decor should also not distract buyers if it’s done right. You also possess a rare talent if you’re able to tell how big a home is when it’s empty! Most people have no idea. You were wise to purchase 5 empty homes, you probably paid less than you might have had to if they’d been better presented. I’ve always said, the best way to make money in real estate is to buy the ugliest house in the best location, then stage it well before you’re ready to sell. That’s how I worked my way up to owning a million dollar home — took me 7 flips from my initial purchase (on my own) of my first property at the age of 29. If you want some added value from the property, than you must have to use some home improvements and appliance which make the view of the property attractive. When you are a selling a home to someone that will bring their dreams to in a house and try to put a good atmosphere in home and the things that you give i completely agree of this point and the way of your thinking is good. Also, many thanks for ppermitting me too comment! I totally agree that empty dark spaces are cold and unemotional. There are those who have an eye for space; however that is not the norm and as in your before and after picture, the lighting and color itself adds to the happiness of the space and the furniture gives you a nice visual of how big that space really is. 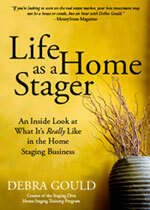 I think your readers are confusing, staging your own home vs. hiring a professional stager. When you hire a stager there is no theme, only a clean look to enhance the features of the house. It’s interesting that you mentioned how empty rooms while selling can give the potential buyers a hard time to imagine how much furniture will fit in the home, and may cause them to back out of the deal. I’d be sure to keep this in mind and have a Realtor help me with selling the home faster. We’ll be moving soon thus it would be a waste just to leave our old townhouse. Thanks for the informative read on why empty rooms are a bad idea when selling! Thanks for the feedback. Happy to help Michael!